In the spring of 2014, ACI Mechanical was contracted by Purina Animal Nutrition to help solve problems at their production facility in Spokane, Wa. Purina Animal Nutrition and ACI Mechanical have a long relationship dating back to the 1990's. Some of the issues included replacing existing liquid storage tanks and spill containment of these liquids. 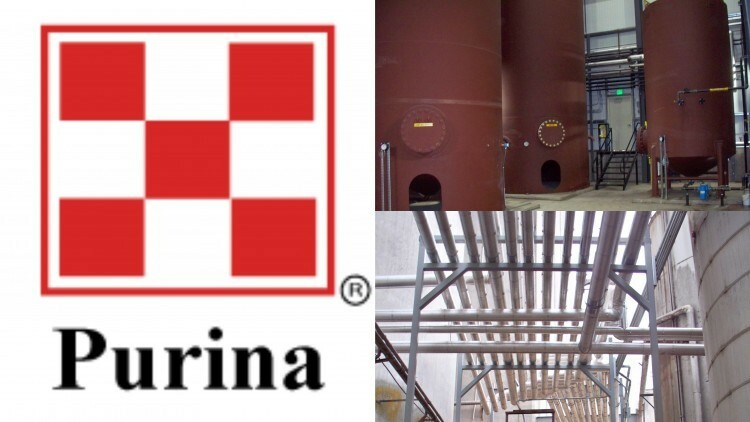 Design-Build a new tank farm that was complete with spill containment and also a hot room to keep liquids at the temperature needed for Purina's process. Install new unload areas for rail car and truck receiving. Act as the general contractor to include design and complete construction of strurctural buildings. ACI Mechanical will be completing the last phase of this three phase $2.3 million project for Purina Animal Nutrition in 2017.